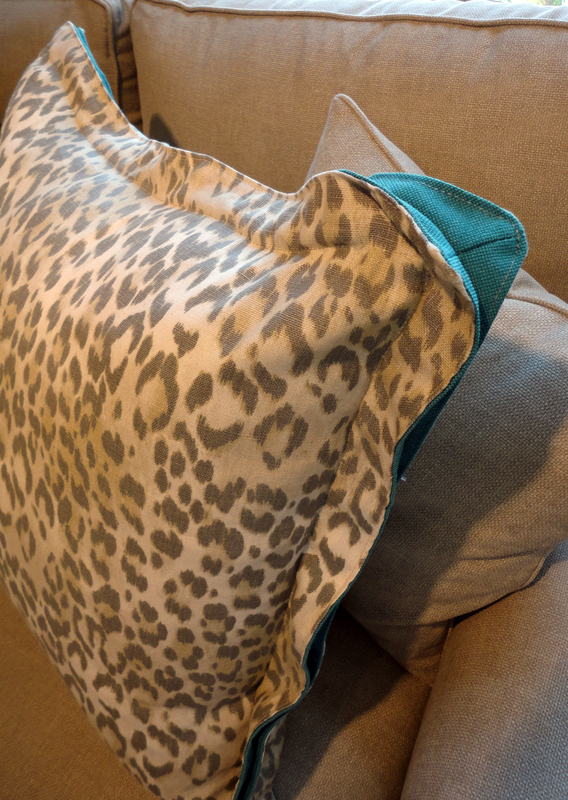 The pictures of some of these gorgeous textiles don’t do them justice or show some of the incredible detail. 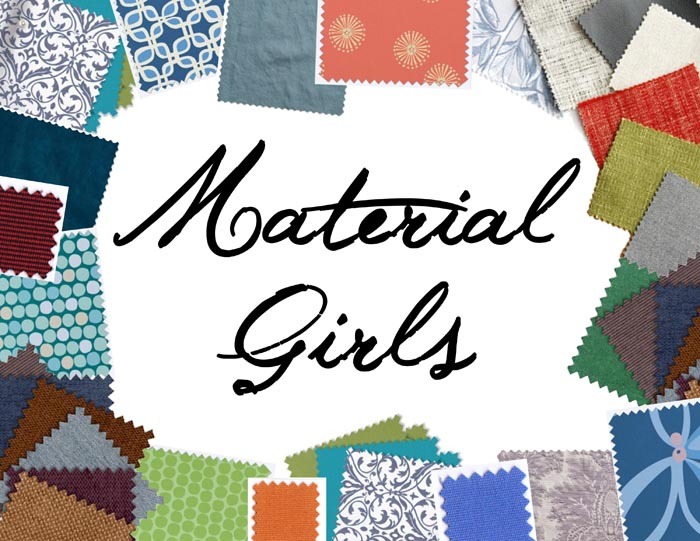 To see samples or for more information send us an email at info@jbanksdesign.com. 1. Private residence in Cabo San Lucas, Mexico 2. The pool and surrounding patio of the Hotel Castello di Casole in Tuscany, Italy 3.Outdoor furniture at the J Banks Design RBC Heritage Hospitality Tent. This furniture now resides in the J Banks Courtyard and was designed by Philippe Starck for Kartell. 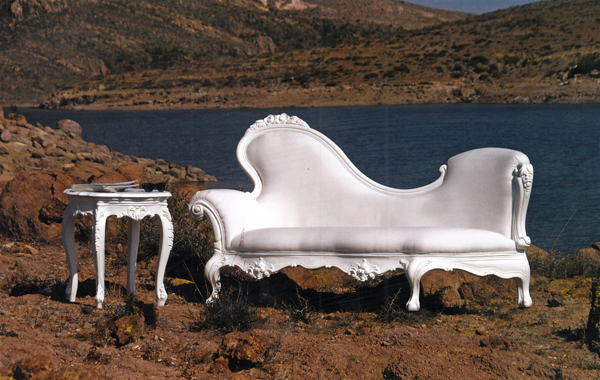 The Bubble Armchairs can be used inside or outside and are made in Italy. 4. The Residences at Esperanza Resort, Los Cabos, Mexico 5. A gorgeous table we designed for an anniversary party. 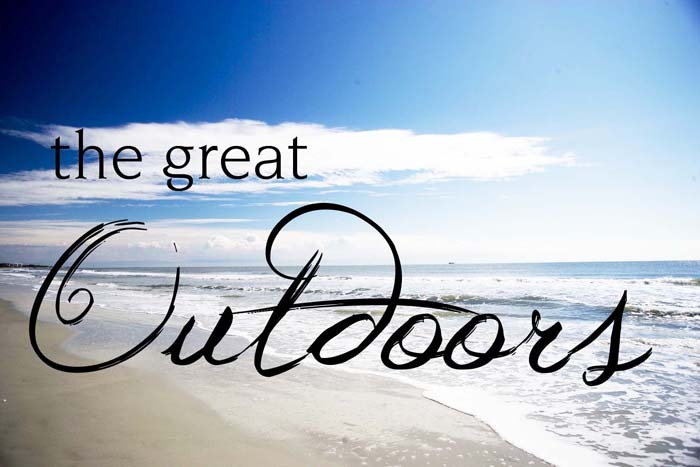 What is your favorite outdoor furnishing or decor item? 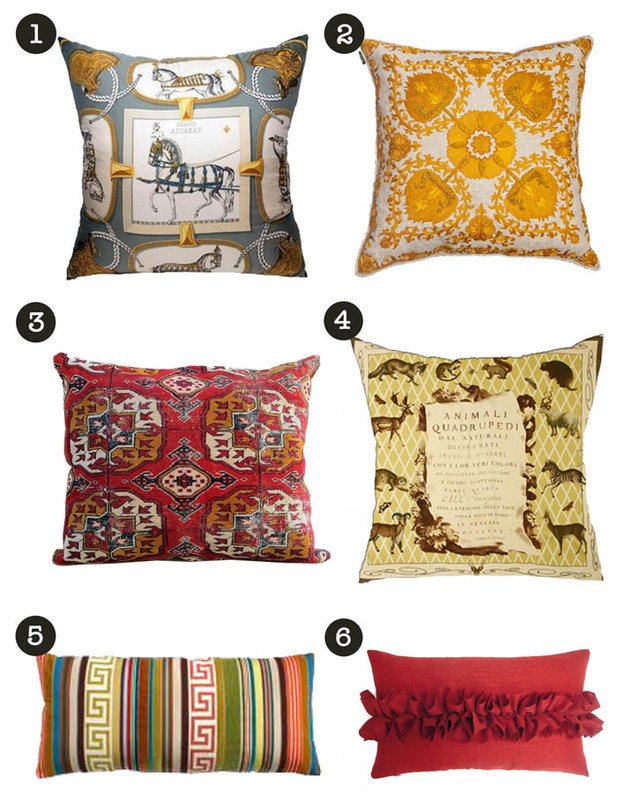 Which pillow is your favorite? 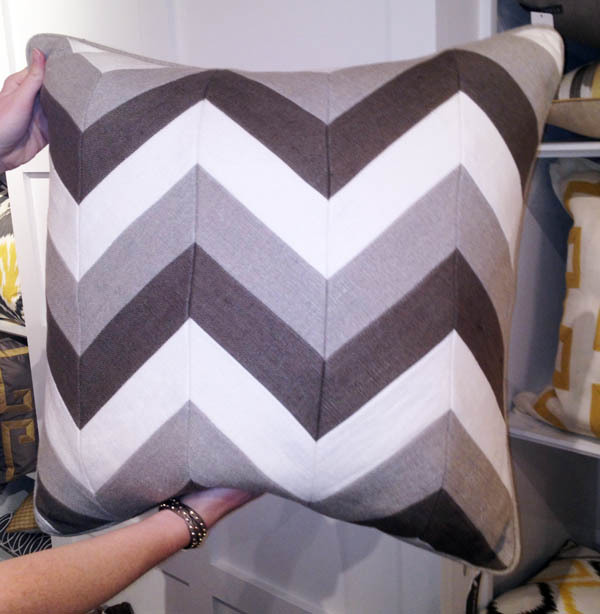 Twice a year, members of our design team head to the High Point Home Furnishings Market to see the latest and greatest new introductions from manufacturers. 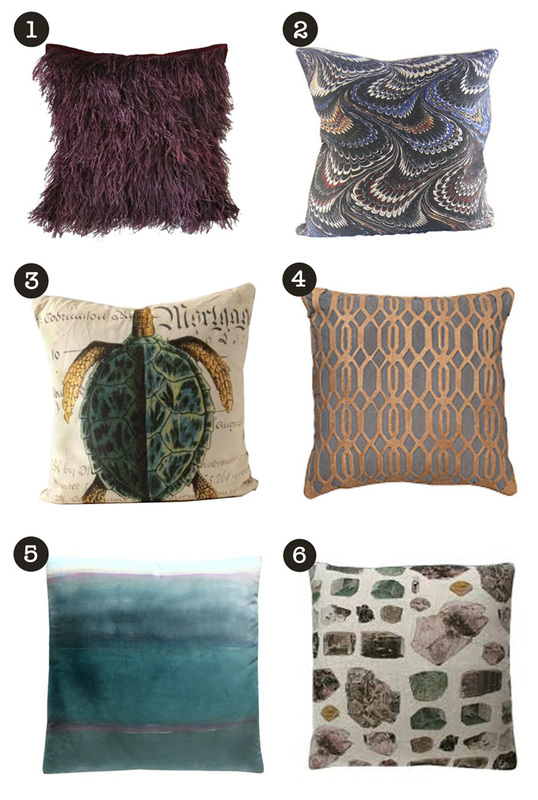 Here is a quick peek into some of their favorite finds. 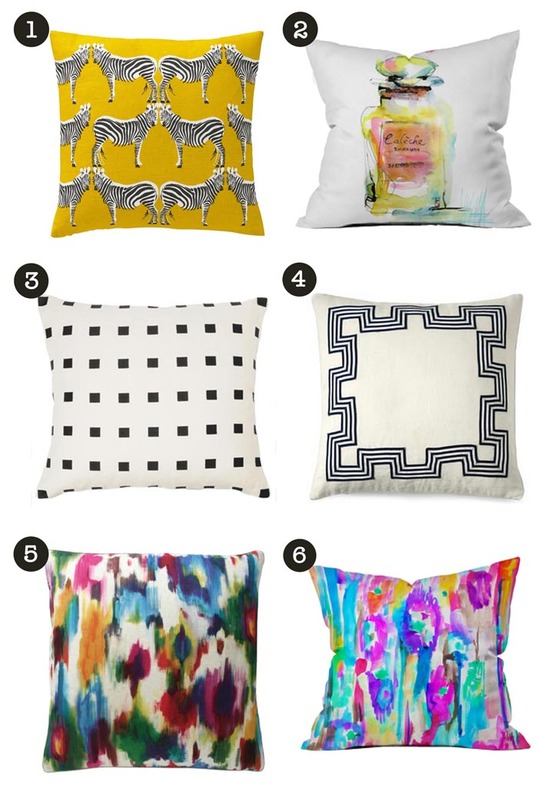 The J Banks Collection was the unanimous group favorite! 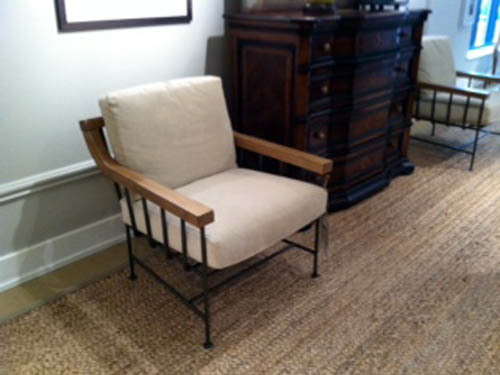 Joni introduced 19 new pieces including case goods and upholstery. 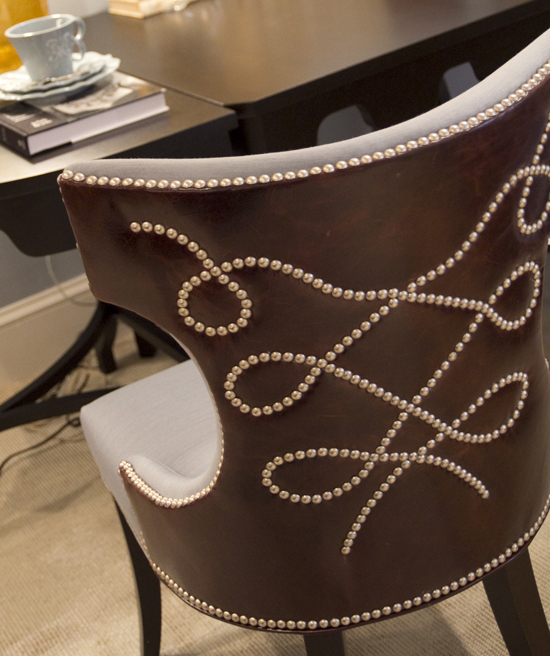 Her designs are manufactured by Stanford Furniture and debuted in Stanford’s High Point showroom. 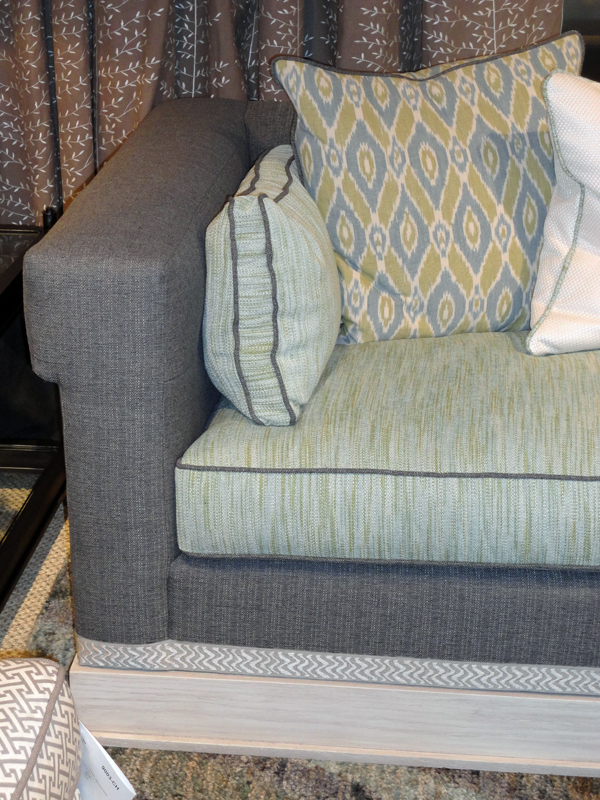 We can’t wait to show everyone pictures, but we are saving them until our Hilton Head J Banks Collection launch which will be happening in our retail showroom later this summer. Above is a quick sneak peek of one of the pieces. Joni unveiled several new nail head patterns that were a huge hit with buyers. 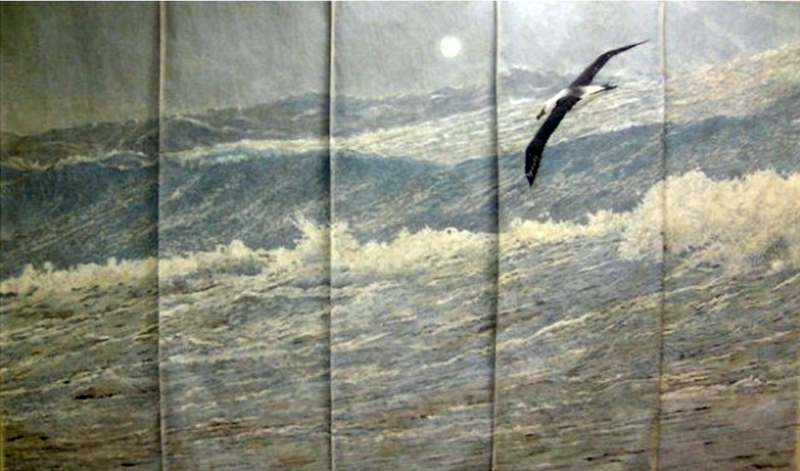 Diane Lancaster: I loved this fabulous ocean scene by artist Kitty Williams from Lucky Fish Galleries. She is an amazing artist and all of her work is beautiful, but this particular piece was so real. I felt as if I was in the middle of the ocean. 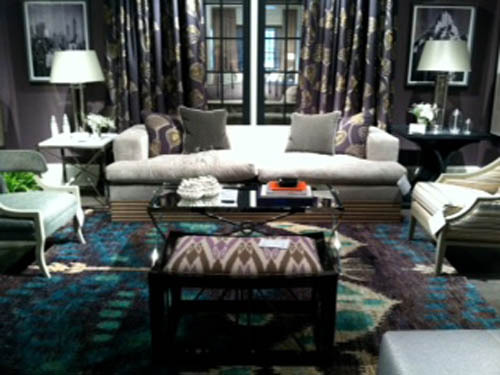 As always, her lovely works of art were showcased in the Lee Industries showroom. Diane Lancaster: I also had the opportunity to meet the owner and designer of Curations Limited, and chat with her about her business. She was lovely! 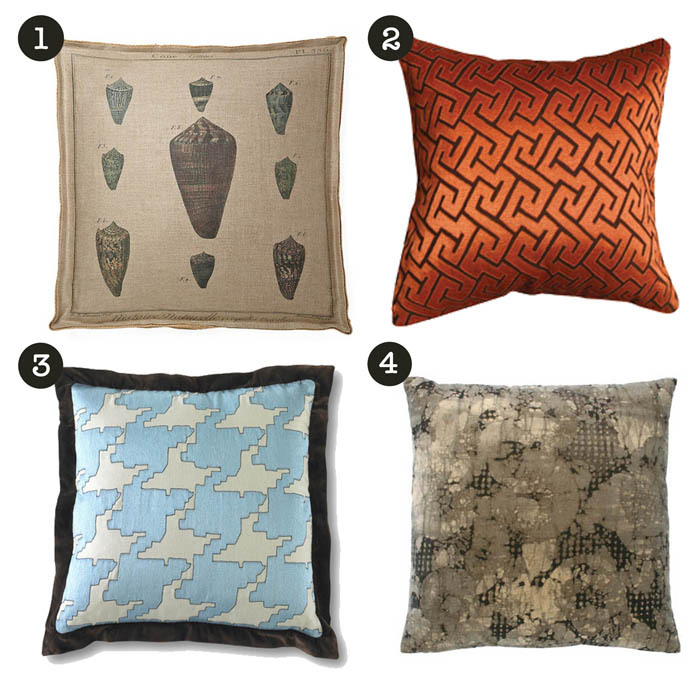 Her pieces are much like Restoration Hardware and very much on point for today’s trends. 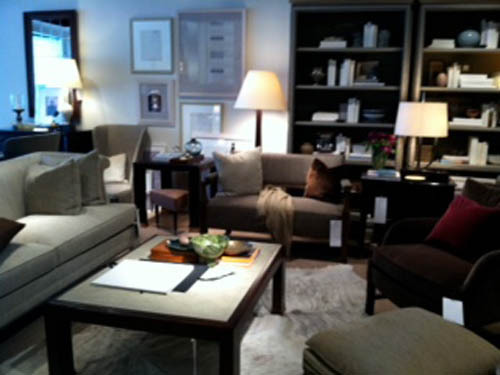 Fantastic case goods in gray and light coffee finishes, neutral fabrics, and comfy upholstered seating and sofa options. 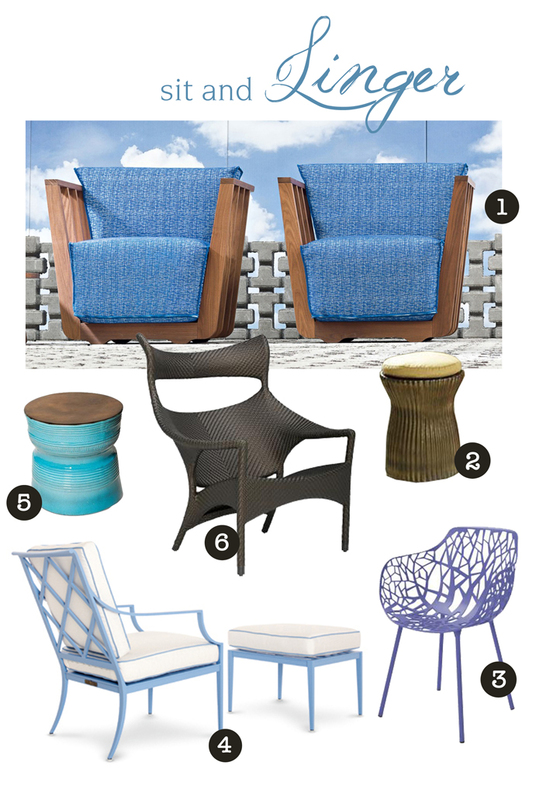 Kristin Magowitz: Polart has the coolest collection of outdoor pieces. 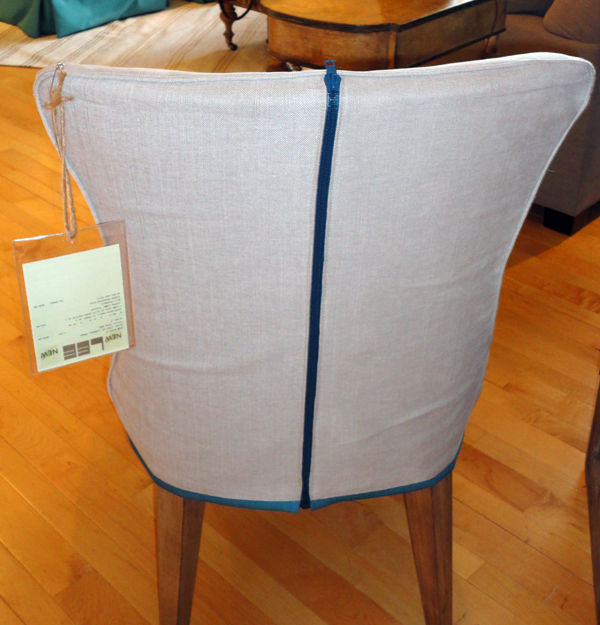 They are very traditional, elegant silouhettes, but are made of hard plastic and sturdier outdoor upholstery materials. 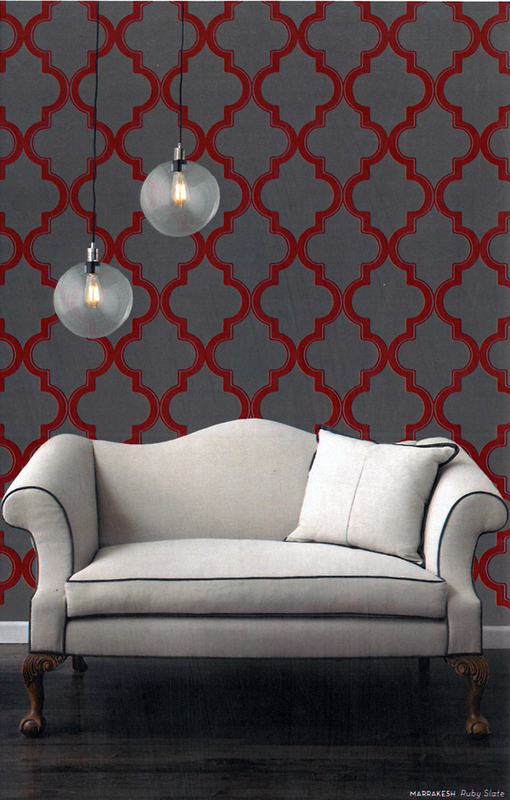 Kristin Magowitz: Tempaper makes temporary wallpaper. What a great way to quickly add character to a wall. Hannah Fulton: I was inspired by creative details at this market. 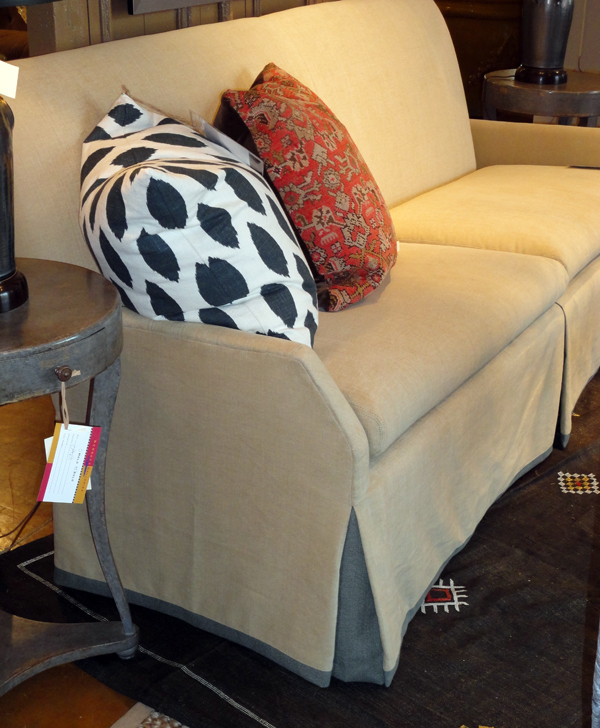 Whimsical zippers, contrast welts, decorative tapes and creative nailhead placements were everywhere – especially within the J Banks Collection! 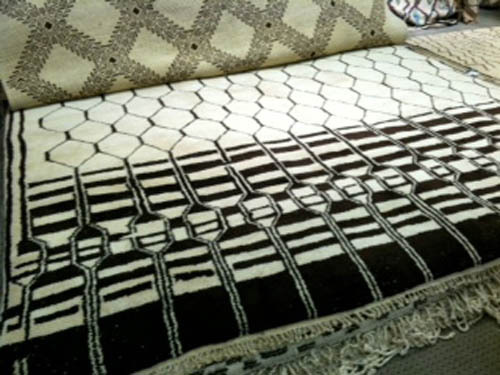 Sharon Cleland: It was very difficult for me to narrow down the treasures I spotted at Market, but these pictures are of my absolute favorites. 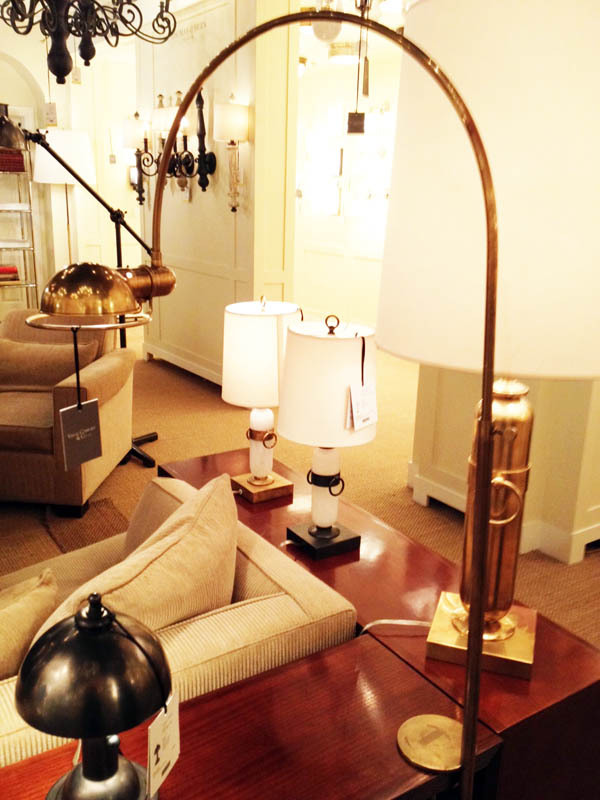 Sharon Cleland: I love the lamps and the mix of materials and finishes at Currey and Company. 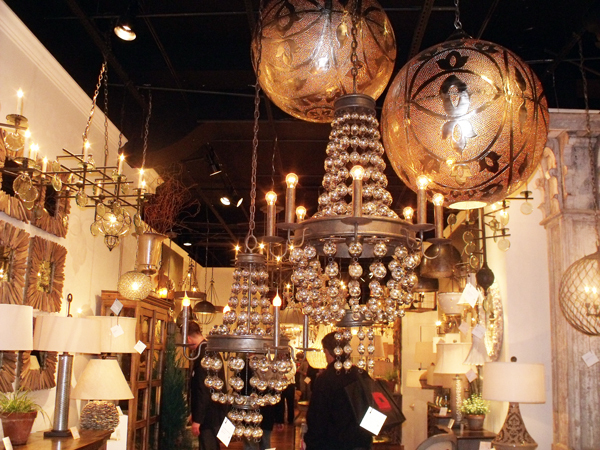 Sharon Cleland: I love this contemporary twist on the traditional chandelier. 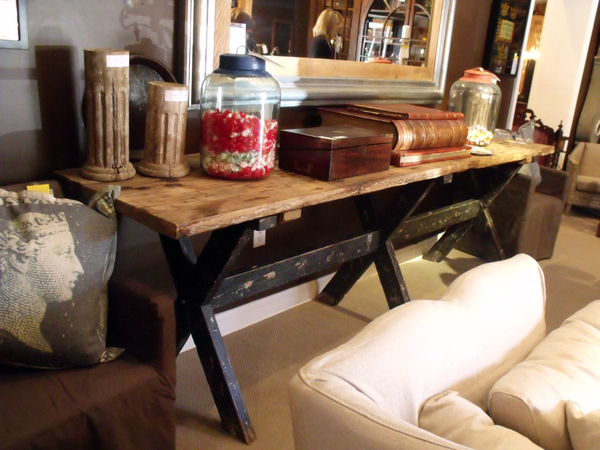 Sharon Cleland: The simplicity of this cross based table makes it flexible for use in a traditional or transitional setting. 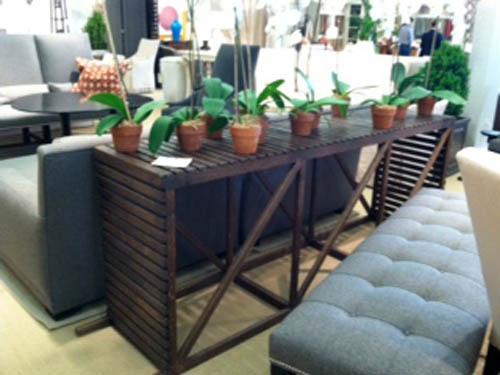 Sharon Cleland: The bracket legs of this table add character, and are perfectly suited for a small entryway. Deb Van Plew: LOVE!! I could move right in to this room. 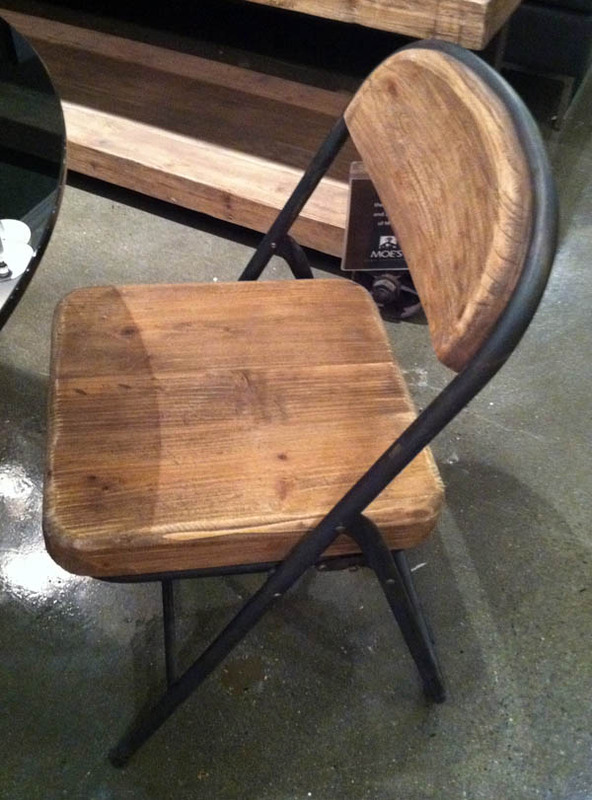 Marianna Barbrey: I loved this take on the standard folding chair in the Moe’s showroom. What a great way to add interest to such a typically blah item. 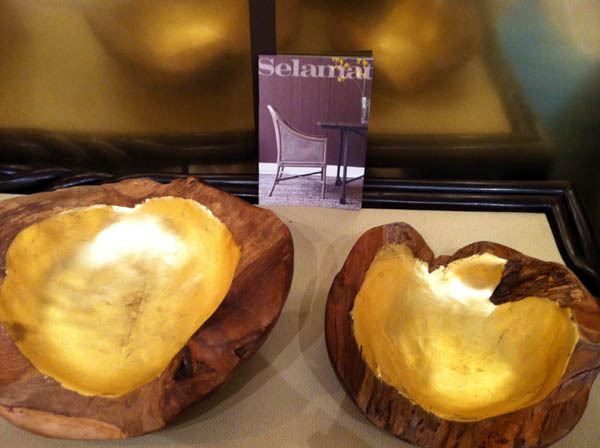 Marianna Barbrey: These gold leaf bowls by Selamat were so pretty. They came in silver leaf as well. 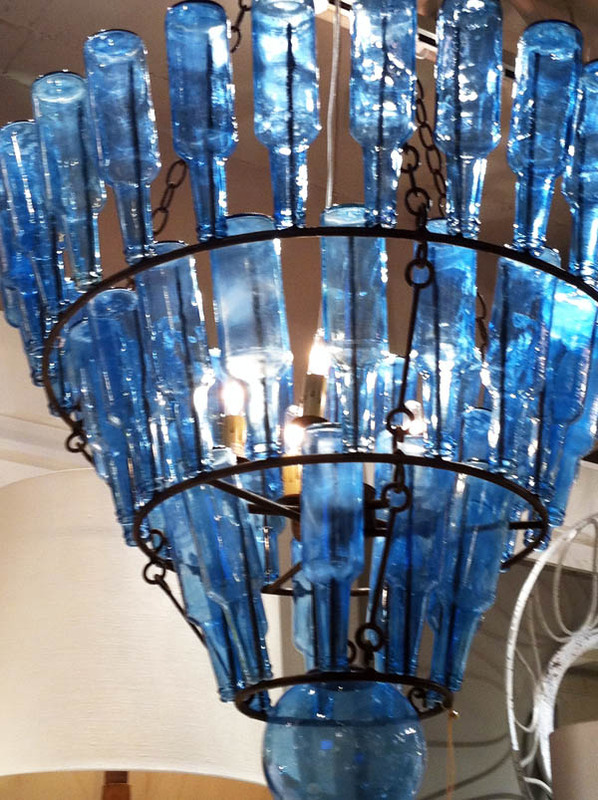 Marianna Barbrey: This blue bottle chandelier in Arteriors was the coolest! It reminds me of the bottle trees that some locals in the Lowcountry will put in their yard. 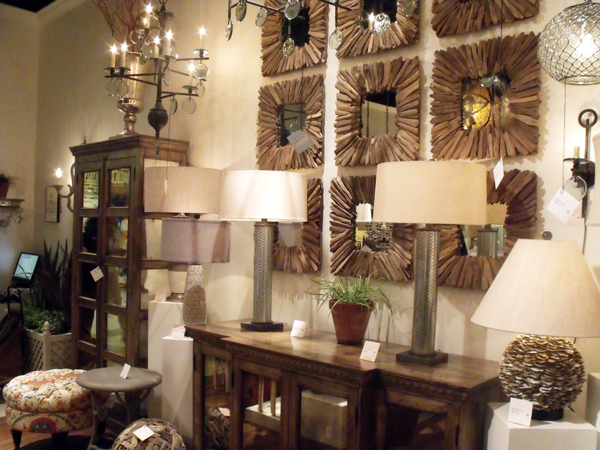 While in the showroom, we also got to meet Mark Moussa, the creative mind behind the Arteriors designs. What a treat! 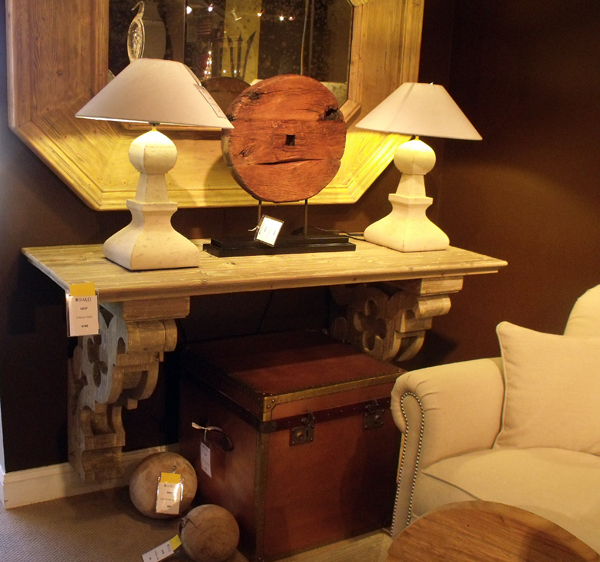 Shelley Wilkins: I LOVE this lamp! It clips to any side table or console. It is so classic in design with a retro feel. 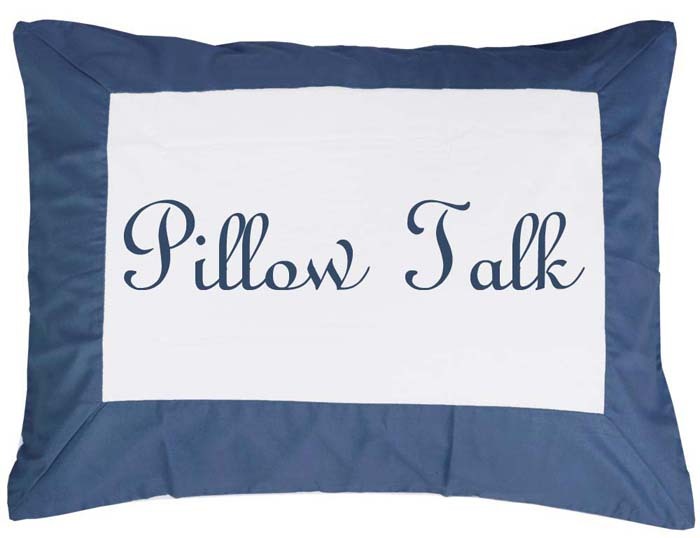 Shelley Wilkins: I fell in love with this pillow. It is so simple, but has so much punch. 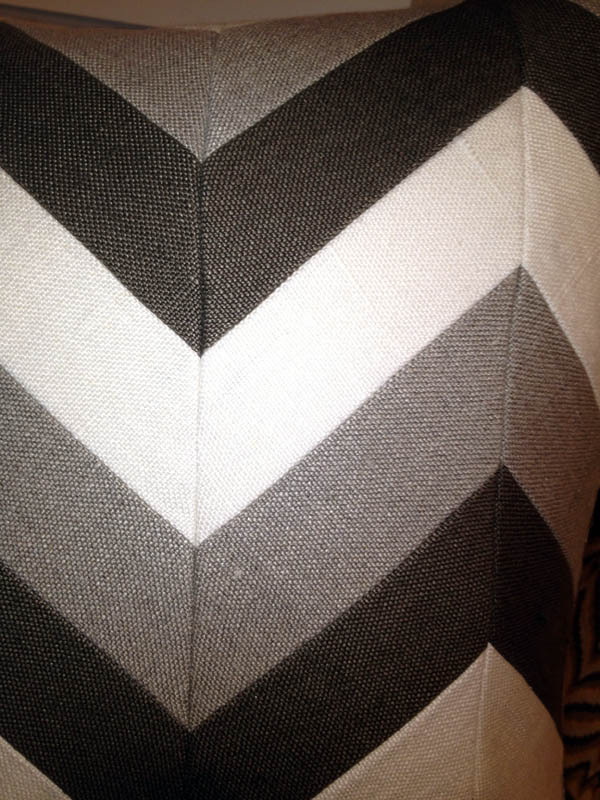 It is three simple, plain linen fabrics constructed into a chevron pattern….fabulous! Market means long days on your feet. 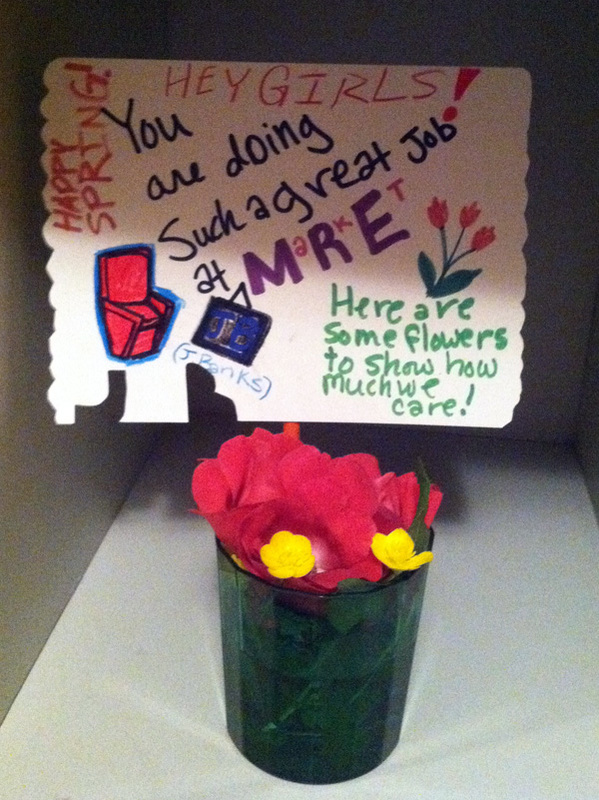 Look at the sweet surprise from Joni’s daughters, Sarah and Grace, to keep us motivated. It made our day! 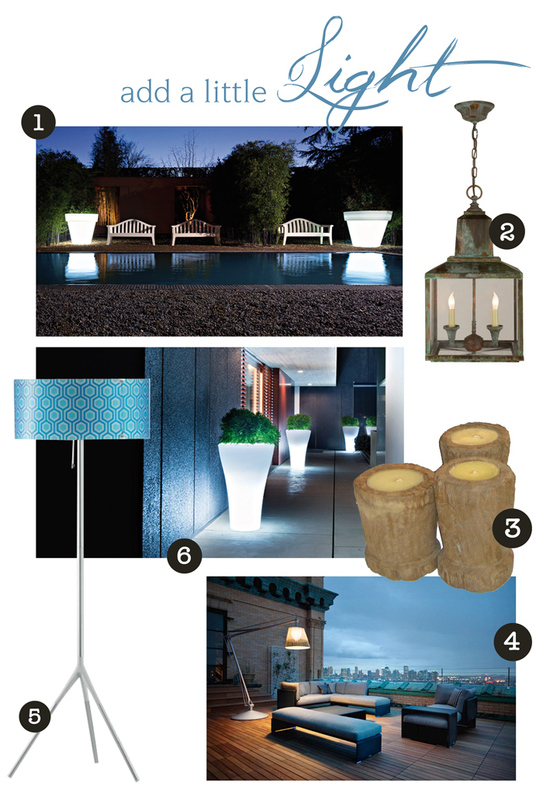 We hope that you enjoyed our picks and found some inspiration of your own!